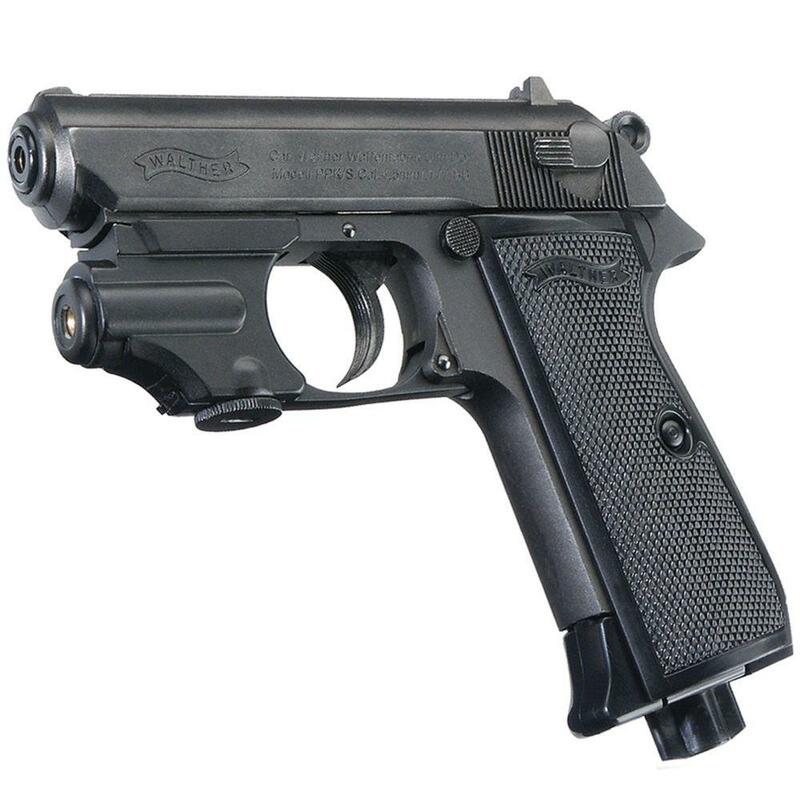 Buy Cheap Walther 2252535 PPK S With Laser Air |ReplicaAirguns.ca Pistol | New Website! Accuracy: For a short barreled non-rifled BB pistol it tested fairly well with most of the BB's grouping within a 2 inch area at 20 feet out. There were some stragglers however. Realism: The Umarex PPK/S is a replica of the actual Walther PPK/S, well known in the popular 007 James Bond movies. It has the Walther licensing on it in all the right places and overall looks a lot like the real Walther PPK/S with the exception of the lower handle and magazine release area. The handle on the BB version is a bit too long and the oversized CO2 piercing screw really takes away from the potential realism of this gun. That said, it's rather easy to cut the piercing crew shorter and add a notch in it so you can alternatively use a screwdriver to tighten it and gain back a bit more realism. Comments: The Umarex Walther PPK/S BB pistol in my opinion is a must have collector piece. Even if you're not a big airgun fan, this is a great way to own virtually the same gun James Bond used in his early 007 movies. The Umarex PPK is a well-made fun shooter at an affordable price with surprisingly not too bad accuracy.